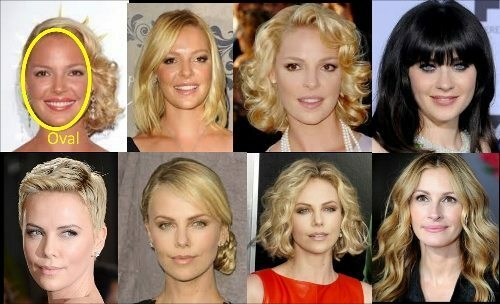 Diamond face shapes have a narrower more pointed chin, and hairline. A fringe/bangs really work well with this face shape. 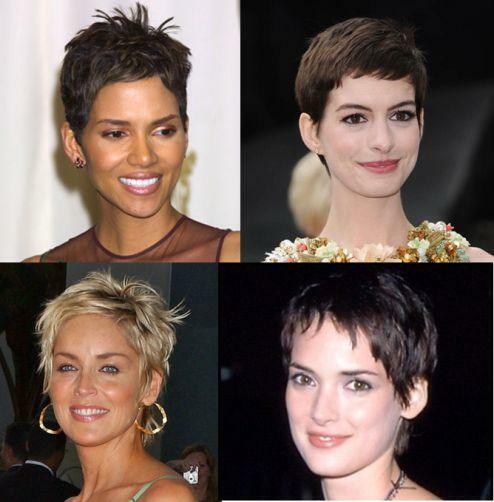 It can either be blunt cut, or more wispy or side swept. Layers around the chin also work well to soften your jawline and if your chin is longer and very pointed, layers that kick out at the ends or some length help to balance it. 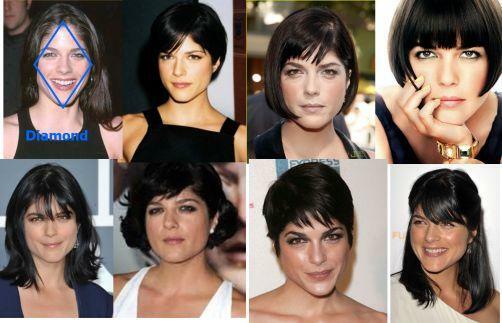 Anything from a chin length bob to longer shoulder length layered styles can work well. Side partings are much better than centre parts as they soften your face. Tuck your hair behind your ears to show off your gorgeous cheekbones. 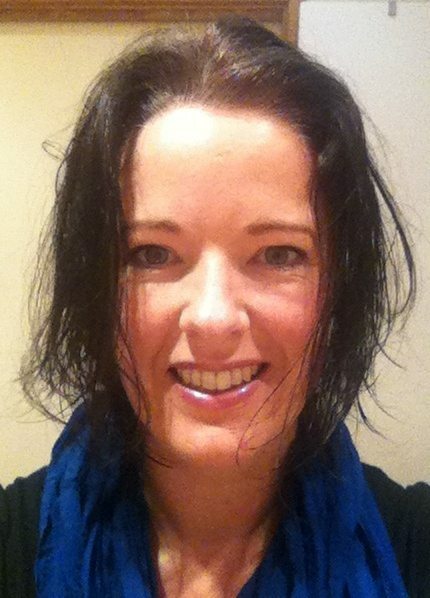 You want to avoid adding too much height, particularly if you don’t have a fringe/bangs. You look best with hair around your neckline and fringe, so really short crops tend not to work well. If your face is longer avoid center part with long straight hair as it will further elongate your face. Too much volume at the sides will widen your face. Would you please do a post for round faces? Sidenote – I love your blog and started reading it, archives and all, at the beginning of summer. 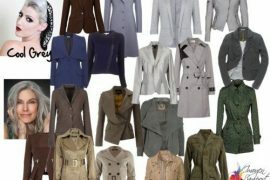 I started using capsule wardrobes a month ago after using your ‘5 Steps’ e-book to clean out my closet and develop the capsule. I have gotten so many compliments on what I’ve been wearing and every single piece was already in my closet. Thank you! !